Description: With all the talk about the cost of hydro, Vic is joined in the studio this week by Kevin Da Silva from "ETHO ENERGY" with a very comprehensive count on how you can save money and we have the "Numbers" to prove it. Learn what our LOCAL Solar Panel guy has to say with this entertaining & informative interview. BEACH BUSINESS SPEAKS only from Beach BOOSTER Radio, Wasaga Beach's only truly LOCAL radio. Available ON DEMAND anytime on any device. Please enjoy and SHARE this great show! With all the talk about the cost of hydro, Vic is joined in the studio this week by Kevin Da Silva from "ETHO ENERGY" with a very comprehensive count on how you can save money and we have the "Numbers" to prove it. Learn what our LOCAL Solar Panel guy has to say with this entertaining & informative interview. 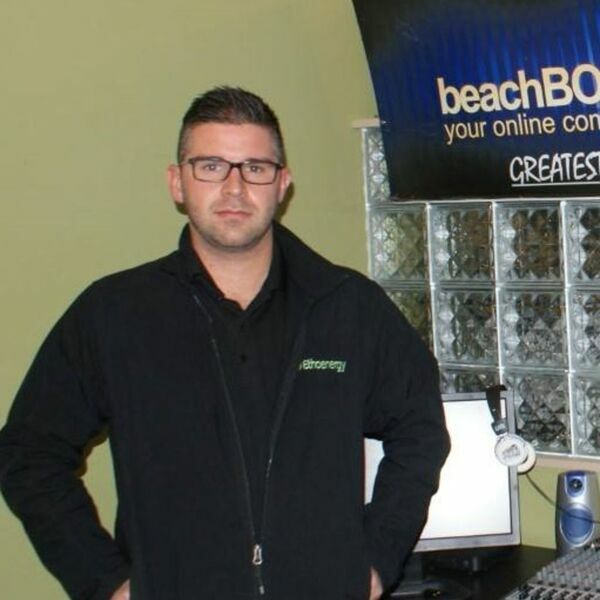 BEACH BUSINESS SPEAKS only from Beach BOOSTER Radio, Wasaga Beach's only truly LOCAL radio. Available ON DEMAND anytime on any device. Please enjoy and SHARE this great show!